find partners for international cooperation in research and development. In order to participate in the TVeT Forum you need a UNEVOC account. 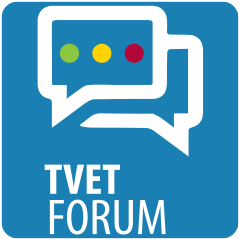 After creating an account and logging in you will have full access to all TVeT Forum messages. There are cases where receiving servers classify TVeT Forum messages as spam. We try to contact you in such cases, but if our mail does not get through we have to unsubscribe you. Either use a different mail address (e.g. private) or use the online interface instead. If that is the case, please send an email to unevoc.TVeT-Forum(at)unesco.org and explain the problem so we help to get you off the list. The UNEVOC Twitter feed at http://www.twitter.com/unevoc also announces new TVeT Forum topics. What TVeT Forum digest options exist? You can either subscribe to a daily digest which gives a summarized overview, or you subscribe to the full-text version. In this case you will receive one message per day and per thread with all messages disseminated since the previous dissemination. To select your preferred option, please update your profile accordingly. You can also follow the TVeT Forum via newsfeed (rss) or via Twitter, see above for both options. If you wish to follow the TVeT Forum in alternative languages, you can use the automatic translation feature in the online message interface (after logging in). You can have the message translated into any of the 5 UN languages besides English: Arabic, Chinese, French, Russian and Spanish. Due to the questionable quality of automatic translations, this may or may not help in understanding the message. Please address your questions and any other feedback directly to the see above, list managers at unevoc.TVeT-Forum(at)unesco.org.